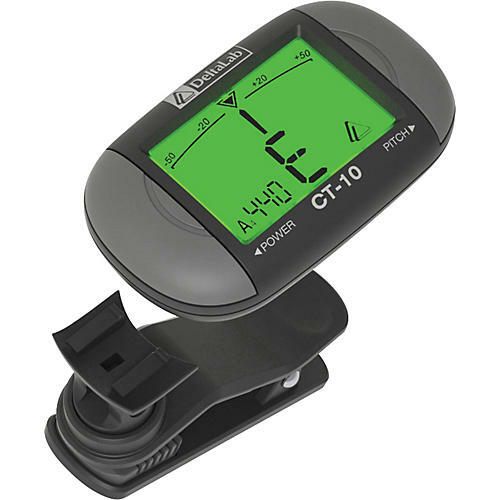 The CT-10 Clip-in tuner clips to your headstock or the bell of your instrument and reads the surface vibration to display pitch. This is an ideal tuner for dark stages and loud, chaotic environments. Accurate, low profile and reliable, this tuner is fully chromatic and easy to read.